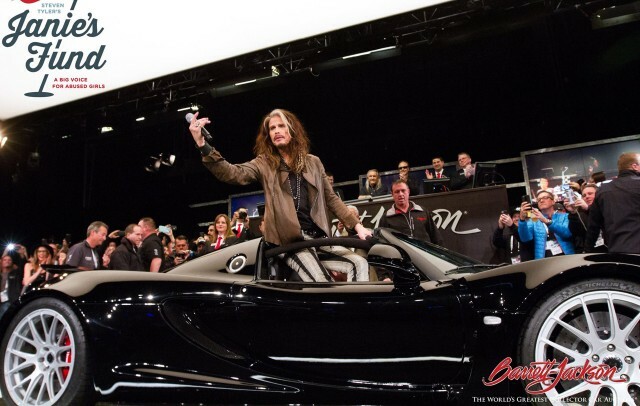 Steven Tyler was the first in the world with a Hennessey Venom GT Spyder but at the January 20 Barrett-Jackson auction in Scottsdale, Arizona, the Aerosmith front man passed the car over to a new owner who bid $800,000 on it. The winning bid also included a guitar signed by the complete Aerosmith gang as well as a week of vacation at Tyler’s Maui beach house. 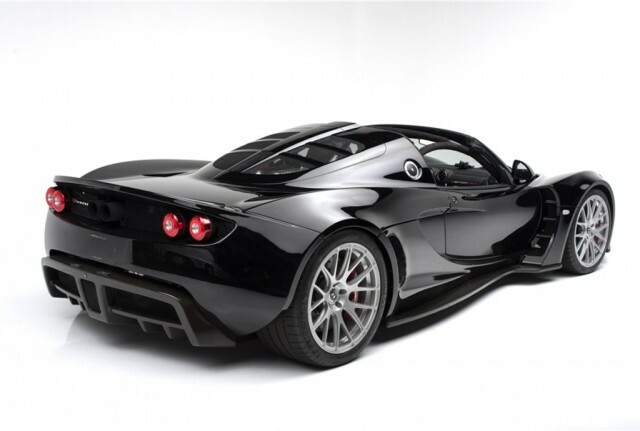 Tyler first saw the Venom GT when the car made its debut as a coupe at the 2011 Pebble Beach Concours d’Elegance. While down in Hennessey Performance’s home state of Texas for filming of “American Idol” later that year, Tyler gave Hennessey a call and asked for a test drive. A couple of hours later, he ordered the car—a convertible. Hennessey built just five Venom GTs for the 2013 model year, including the first Spyder. The original price tag was a cool $1.1 million. Power comes from a twin-turbocharged 7.0-liter V-8 delivering 1,200 horsepower and 1,155 pound-feet of torque. The engine is mated to a 6-speed manual transmission and rockets the car from 0-60 mph in just 2.7 seconds. Tyler’s car also features a custom audio system tuned by David Frangioni, CEO of Audio One and a former audio engineer for Aerosmith. The interior is black leather, offset by red accent stitching and a teardrop eye logo similar to one of Tyler’s tattoos. Another celebrity ride to go under the hammer at the event was a 1978 Pontiac Firebird Trans Am owned by Burt Reynolds. The Bandit himself was there to drive the car up on the auction stage. It went for $275,000.